Backup is very important as long as you are working with computer and the internet. It helps us to quickly restore the files during emergency situations like data loss, theft and hacking. We have already explained how to automatically backup your WordPress site into Dropbox at regular intervals. There are several WordPress plugins specifically designed to backup and restore a website without losing any contents. Now we will tell you how to export an entire WordPress site with one click. The process will take maximum a few seconds and you can even exclude certain kinds of files from the backup. 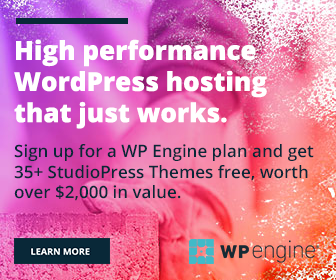 Install and activate All-in-One WP Migration plugin first on your blog. 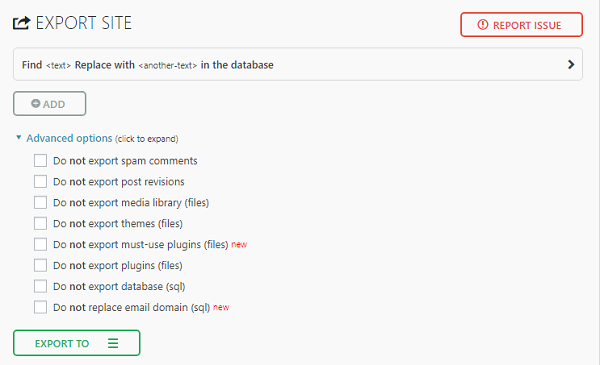 It is a simple plugin to export your database, themes, plugins, files, posts and comments in WordPress. You can also apply an unlimited number of find and replace operations on your database during the export process. After activation, open All-in-One WP Migration menu from the left sidebar to export your site. Click Advanced options to customize the process. Check relevant boxes to exclude those file types from the backup. Hit Add button to perform find and replace operation in your database. Finally, click Export to button to choose your file type or destination. It allows you to download the output or directly upload it to FTP, Dropbox, Google Drive, Amazon S3, OneDrive and Box. You can download the file for free, but need to buy premium extensions for FTP and Cloud storage uploads. Wait a few moments to finish the export process. Once finished, you will get a small pop up box to download the file. Go to plugin’s Backup menu to download your export file anytime. Import is another menu of the plugin that lets you import one website into another from a downloaded file, FTP and cloud storage services.